Lincolnshire CCC travel to Norwich to play Norfolk in their second group match in the Unicorns (Minor Counties) Knockout Trophy on Sunday. 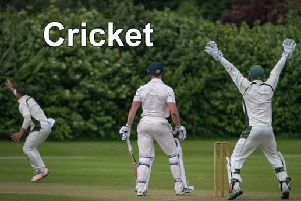 Lincs completed a huge 181 run victory last weekend over Northumberland, and will select from the same squad as last week. That will be: D. Lucas, H. Azad, R. Carnelley, J. Tattersall, D. Freeman, L. Robinson, A. Tillcock, D. Brown, C. Wilson (Wkt. ), M. Weightman, M. Carter and A. Willerton. Norfolk also won their first group fixture so a close encouter is expected.